Bliss ! Bliss ! Bliss ! Which among these is Bliss? 1) Sipping coffee throughout the day. 2) Reading your favorite book while sipping coffee. 3) Staring at the sky while sipping coffee. Now I tell you, the last one is complete bliss. 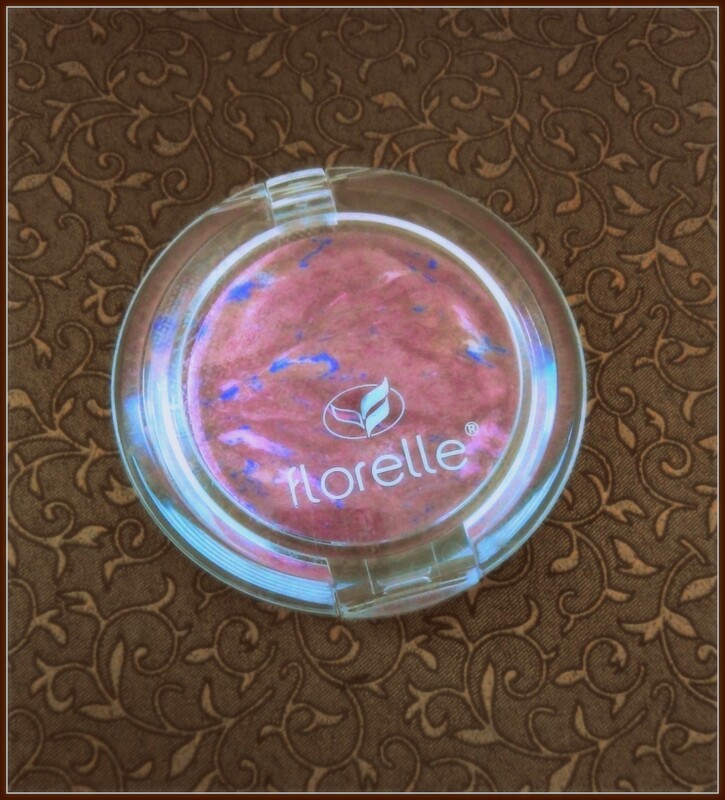 When I grab a cup of coffee, thoughts just flow out of control and with that turbulent flow I present my review on one of my favorite product ‘Florelle Wet and Dry Blush – Marmorized’ here. 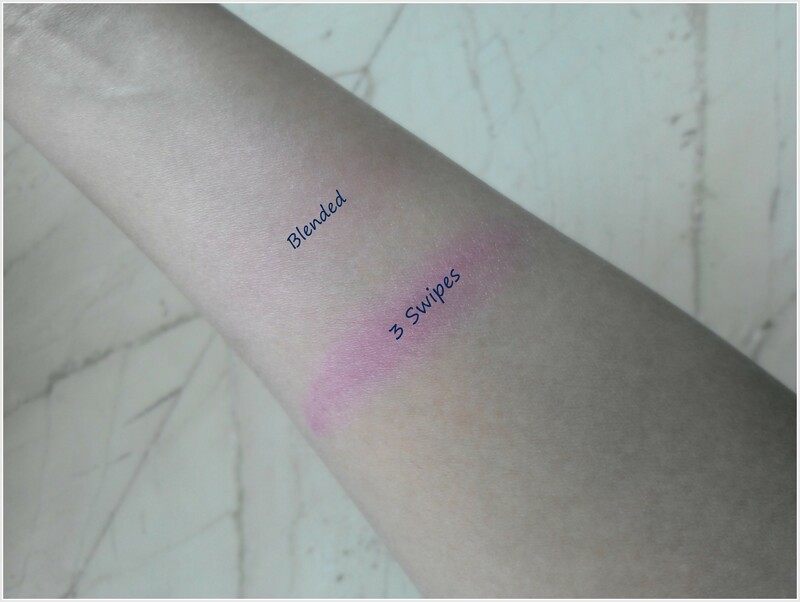 I have never heard about this brand before, so I did seek Google for a little help and finally landed here http://www.florelle-cosmetics.com/blush_wet.html. 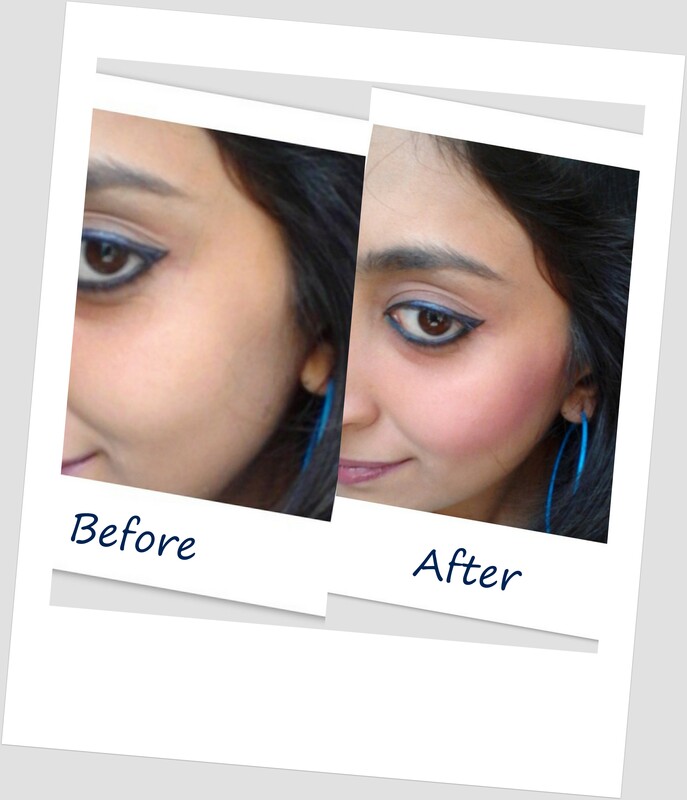 Prior to these, the only blushes that I have experienced is from the brands – Faces and Maybelline. As far as this new entry from Florelle is concerned, I must say that it has definitely lived up to my expectations. 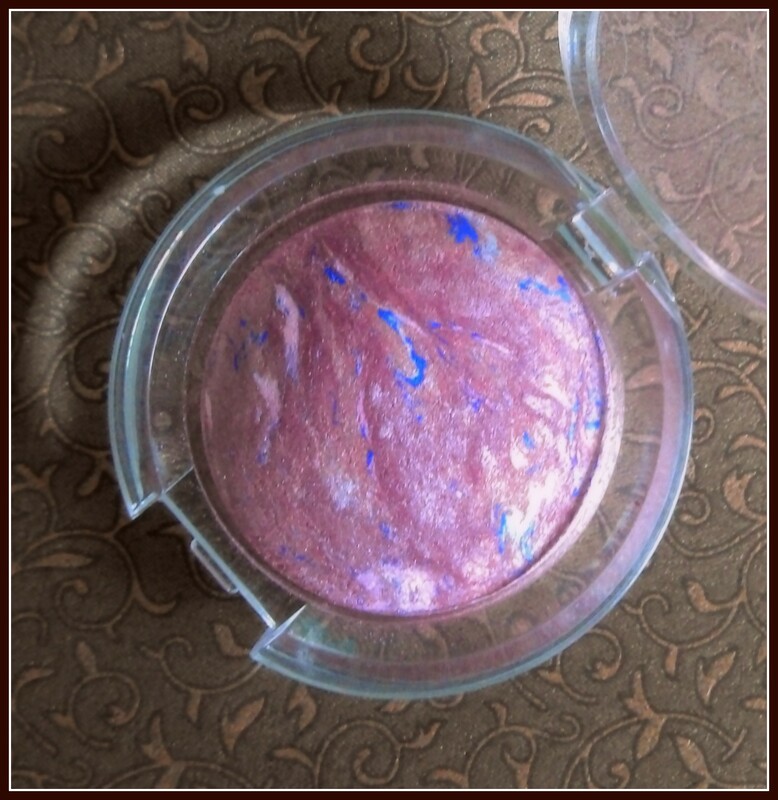 This blush comes in a transparent casing and is very comfortable to handle. It possesses stylish looks and is very compact to be carried on the go. 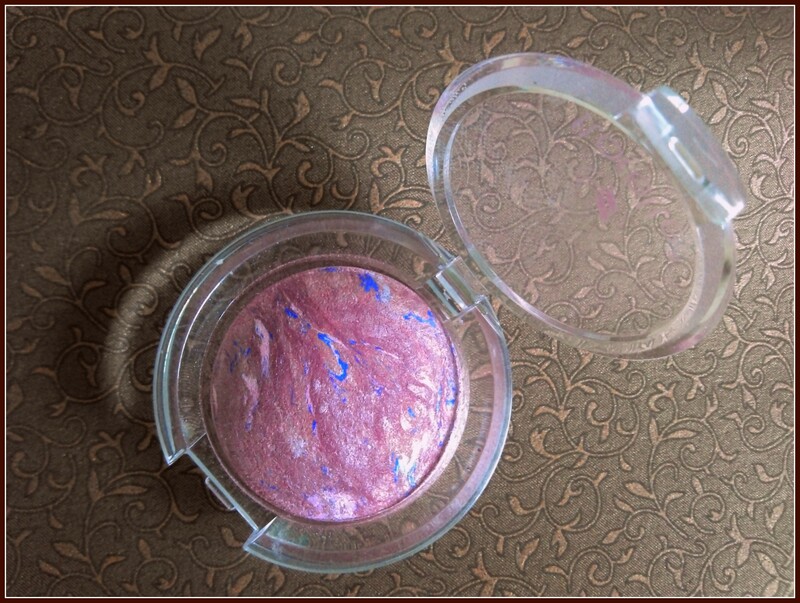 Now what I had been wondering since a while is about the blue shimmer particles included in the blush. However it doesn’t disturb the pinkish shade that is expected out of it. 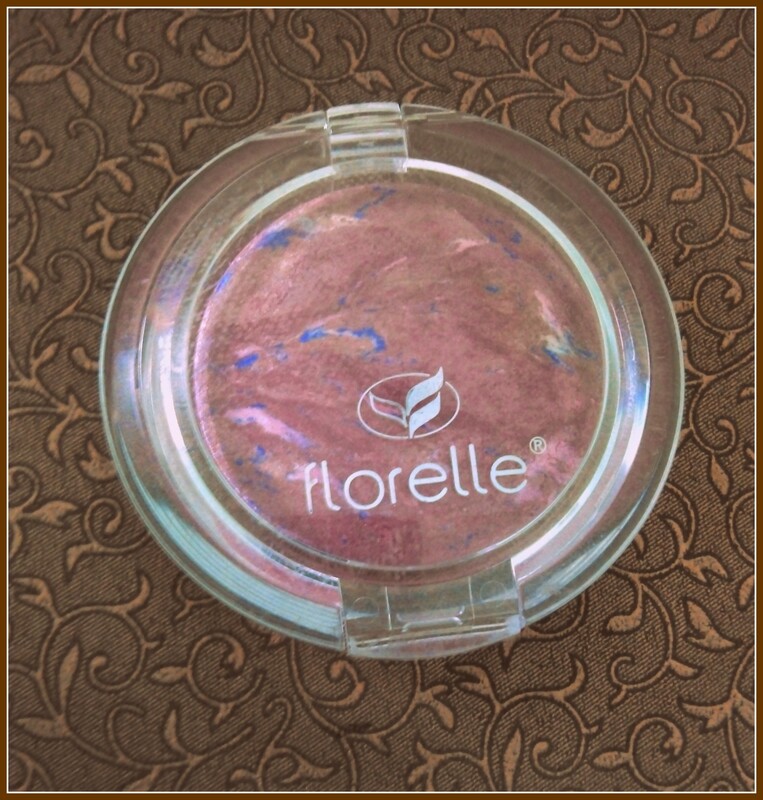 One differentiating aspect from other blushes is that, Florelle – blush can be used in dry and wet forms. Dry form can be used for daily wear and the wet form is for specifically creating a very dramatic look confined to occasions/parties. It would be great if you could purchase a dedicated brush for using blush and then all you got to do is – Smile! Let the apple of your cheeks be visible; gently swipe your brush on the blush and highlight the apple of your cheeks extending it a little upwards. To use it in a wet form, you got to swipe the brush gently on the water drops, damp a little and then swipe it on the product and proceed it for further application. I have tried the product in a dry form which lasted for almost 5-6 hours in a day. 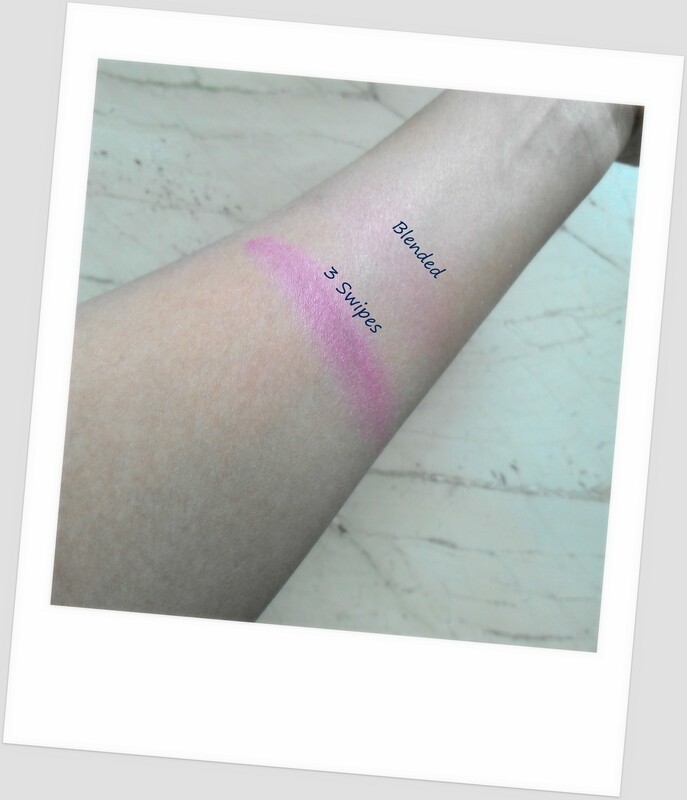 I had been very lucky to experience this International brand through Vellvette at a very affordable cost, it was one among the products I received in my Vellvette bag for 300+ bucks, so I definitely didn’t pay the actual amount for this blush. On an average I would have spent 100+ for this blush. 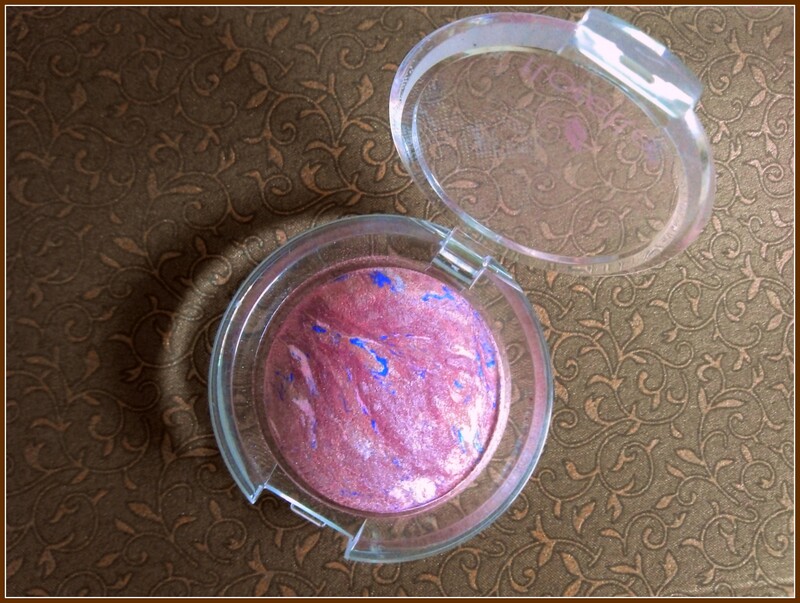 The actual price of this blush is around Rs 750 and it is quite a turn-off for people who are looking for products at affordable costs. 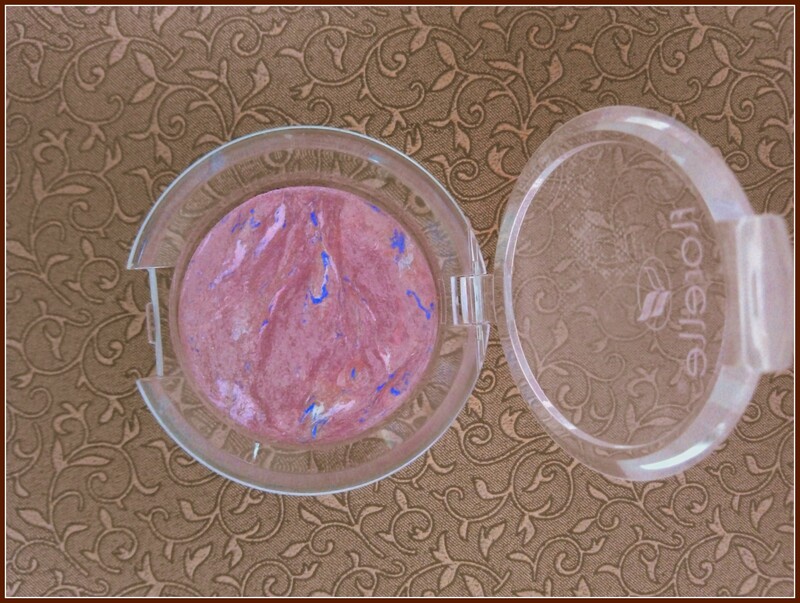 However if you wish to try the same, just log-on to http://www.vellvette.com/florelle-wet-dry-blush-marmorized.html and purchase them separately. Next time, if you wish to experience these kind of products I advice you to order a Vellvette bag and experience International brands at the lowest price possible. 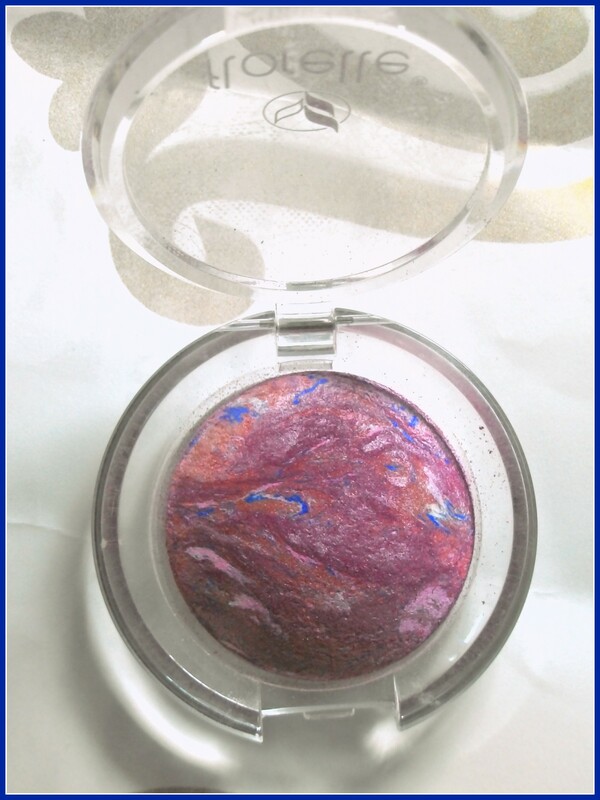 2) Soft shimmer which adds vibrancy to your looks. 3) Enough Product quantity that can last for years. 4) Gives a natural look in the daylight. 5) Lasts for 5-6 hours. 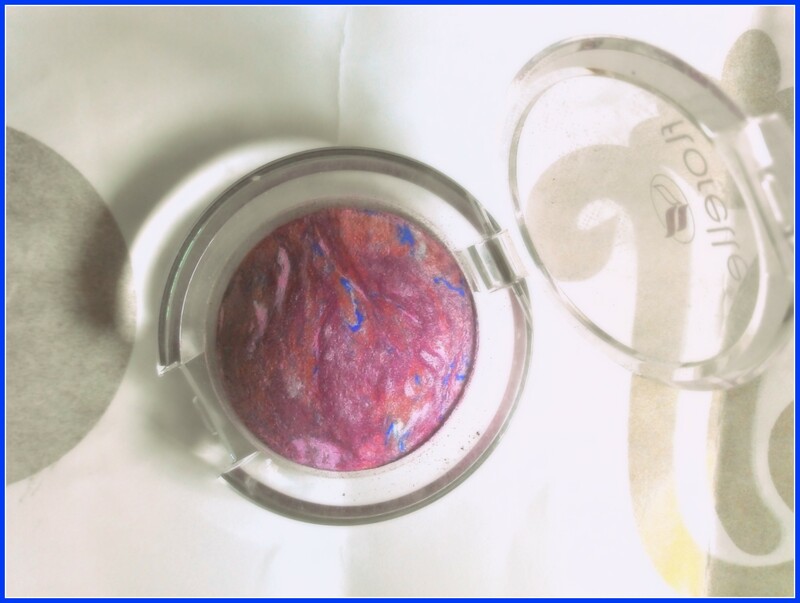 2) Unnecessary interruption of blue shimmer. 3) No brush provided even at such an expensive cost. I hope you all liked the review; With that I sign off for the day, will be back with another interesting review soon. Monday is few hours from now and I am trying hard to get motivated for another tiresome day at work 🙂 I hope all of you are motivated too (at the earliest :P) Take care Gurlssss And Havvvv Loaaaads offfff Funnnn !!! Ohhh ! Did you try it in wet form? The blue shimmer sort of puts me off! Thanks a lot dear 🙂 Ohhhh yes the blue shimmer is sort of unnecessary interruption !!! 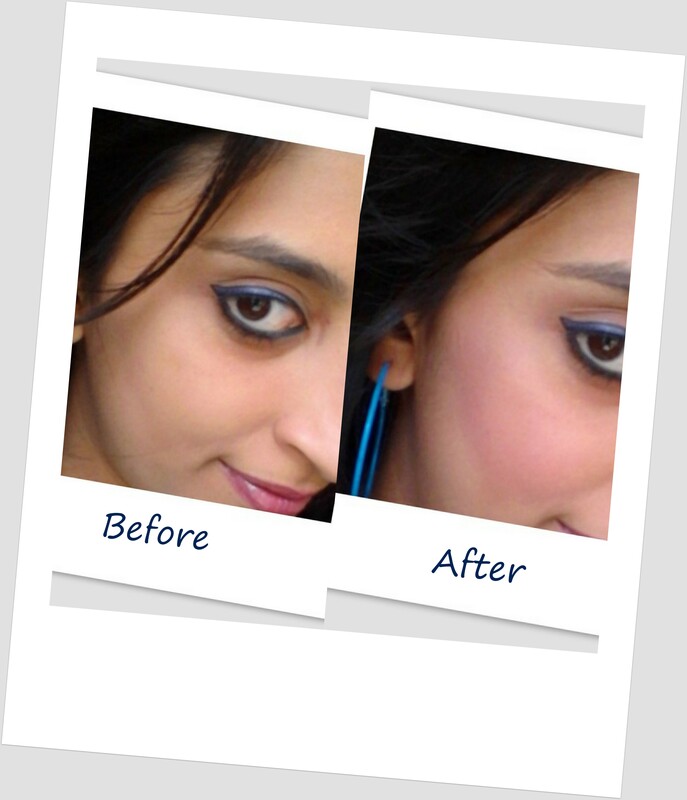 gorgeous blush n i loved ur FOTD..u r v pretty..